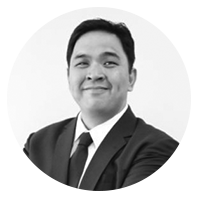 Carlo has over 14 years of experience in digital in the Philippines. He currently serves as Vice-President for Digital Strategy and Consumer Disruptive Business of the leading telco in the Philippines, PLDT/Smart. In his career Carlo has taken a leading role in several business transformation initiatives. In Level-up Games as Brand Manager for Ragnarok Online he led the shift from subscription to free-to-play (monetize through an item mall) which led to 100% growth in revenue. In TV5 he started the New Media Division of the company and built the organization to support the digital pivot of the network. He left TV5 to be a partner and Managing Director for the newly created digital agency of the most awarded agency in the Philippines, DM9 JaymeSyfu. After 4 years he sold his shares and exited after it was bought by the largest single branded agency in the world, Dentsu. As a digital entrepreneur, he founded several web properties with the latest one being recognized as one of the top tech and gadget sites in the country, Unbox.ph. He is also very active in the local digital industry. It is his 3rd year as a Director for the Internet and Mobile Marketing Association of the Philippines (IMMAP) where he currently serves as Vice-President for External Affairs. Carlo is also well regarded as a thought leader and industry resource. He’s a TEDx speaker and has delivered over 300 talks in his career on digital marketing and business transformation.